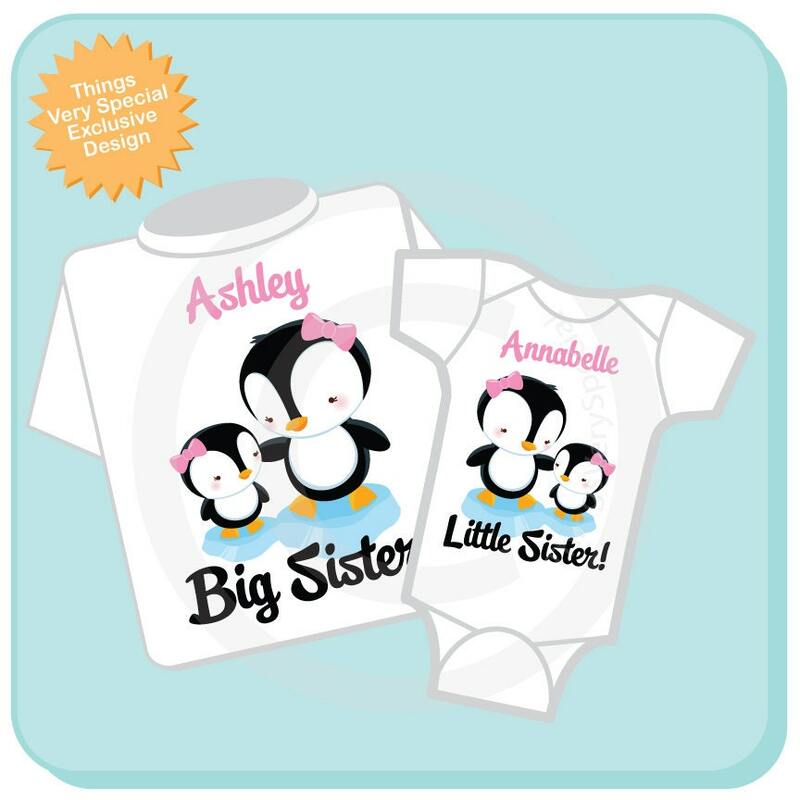 Big Sister and Little Sister Penguin Shirt or Gerber Onesie set of two. 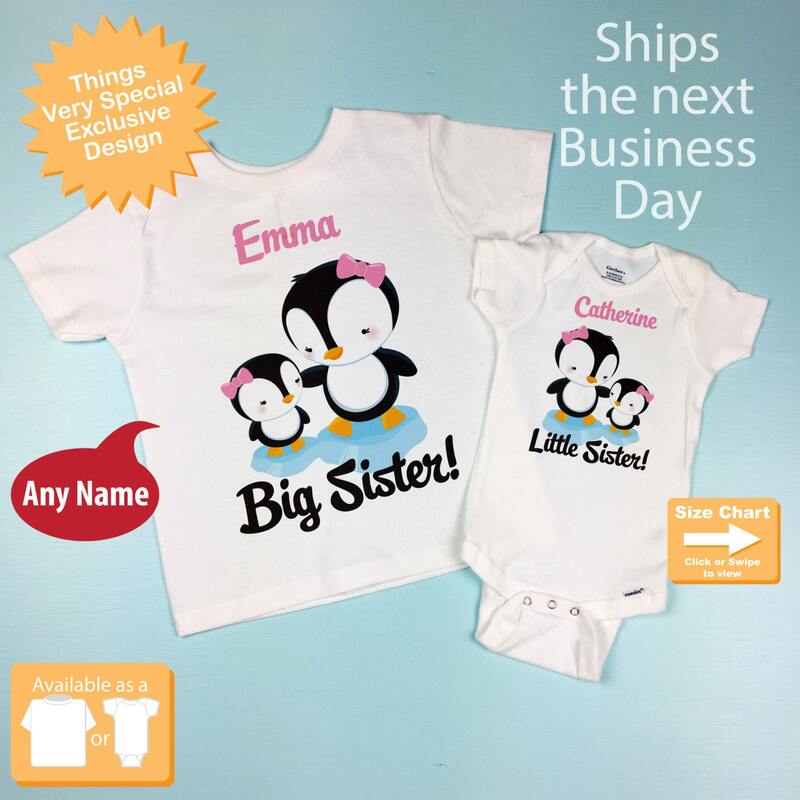 Super cute Personalized Big Sister tee shirt with awesome Big Sister Penguin and Little Sister Penguin and little Sister shirt or Onesie with One Little girl penguin. This set can be done with any combination of big or little siblings. It could be big sister little brother, big sister little sister, big brother little brother or big brother little sister. Whether it's big sister, big brother, little sister or little brother. 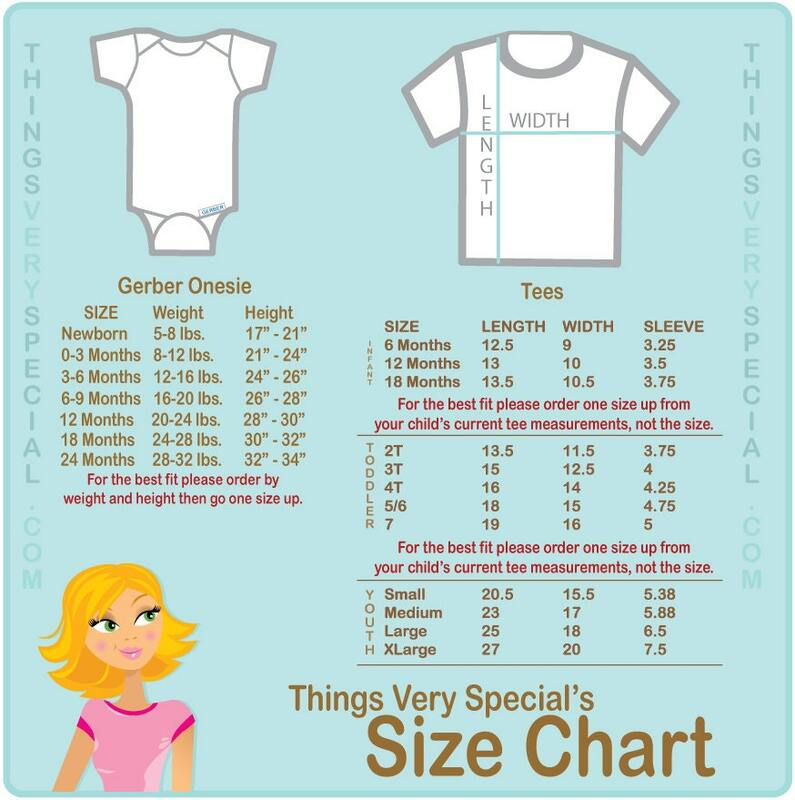 I followed the sizing instructions and the onesie fit perfectly but the larger shirt is quite big. They look cute and the recipients were most pleased. I liked my older daughter's shirt, but the onesie for my younger daughter shrunk when I washed it, I think it was just placed of a fruit of the loom onesi. Two adorable shirts came quickly. Everything was just like I ordered. Great customer service!